As per Origination news..The average weekly rate for a 30-year fixed-rate mortgage in Freddie Mac’s primary market survey held steady at its record low of 3.78% during the week ending May 24. 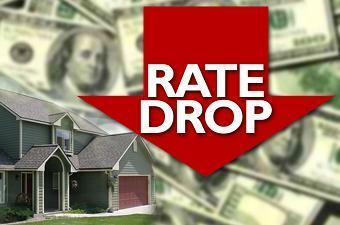 The average rate for a 15-year FRM, at 3.04%, also remained unchanged week to week. Similarly, the five-year Treasury-indexed hybrid stayed put at 2.83%. The average rate for a one-year Treasury adjustable-rate mortgage slid three basis points to 2.78% and carried an average of just 0.4 of a point. The 30-year, in contrast, came with an average of 0.8 of a point in the most recent week, while the 15-year carried an average of 0.7 of a point and the five-year Treasury hybrid included on average 0.6 of a point. The plateau in most rates came during a week when there were several indicators suggesting relative improvement in the housing market, said Freddie Mac chief economist Frank Nothaft in his weekly report. He said rate-driven affordability contributed to this. Nothaft also noted in his monthly economic and housing outlook issued Wednesday that there have been some encouraging signals, although residential fixed investment is still weak. A Mortgage Bankers Association report adjusting the group’s origination estimates upward Thursday did so on the strength of higher-than-expected refinancing that government programs as well as rates have contributed to. But it also suggested that purchase volumes look weaker than they had.